​Flower Mound Farm is a Premier Hunter/Jumper, Dressage and Eventing facility offering horse boarding, riding lessons, training and showing. 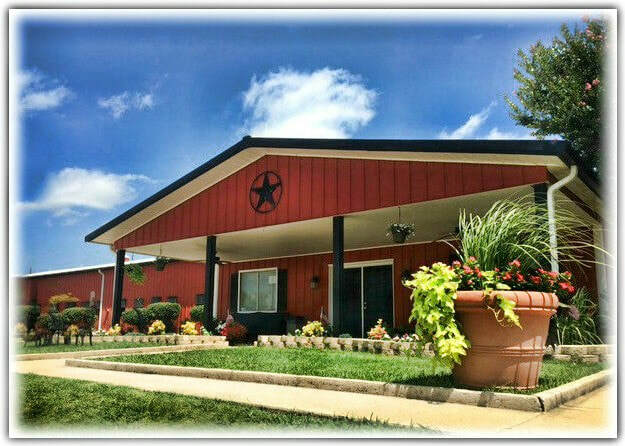 FMF is located on 40 beautiful acres just 30 minutes north of Dallas and Fort Worth. FMF is under new ownership by Keri and Drew Korzeniewski and is managed by a new, talented team of trainers and barn staff. FMF is currently accepting boarding clients and their horses as well as lesson students. Flower Mound Farm Riding Academy offers safe, well trained school horses suitable for riders of any level. We employ talented and experienced trainers who are committed to the safe and successful advancement of their students. We also offer board and training programs for young or green horses as well as a quality selection of horses for lease and sale. Our clients enjoy personalized attention and great amenities, including our air conditioned and heated lounges. Their horses enjoy the same personalized attention, high quality care, hay and feed, ample turn-out and great footing in our lighted indoor and outdoor arenas. Our riders and their horses compete at NTHJC, A/AA, Recognized and Schooling Horse Trials and Dressage Shows.